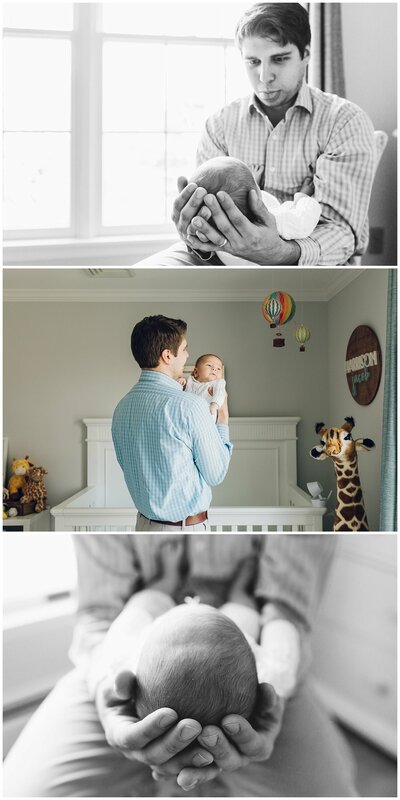 A while back, I wrote a post about why you shouldnt feel pressured to do your newborn photographs in the first week. 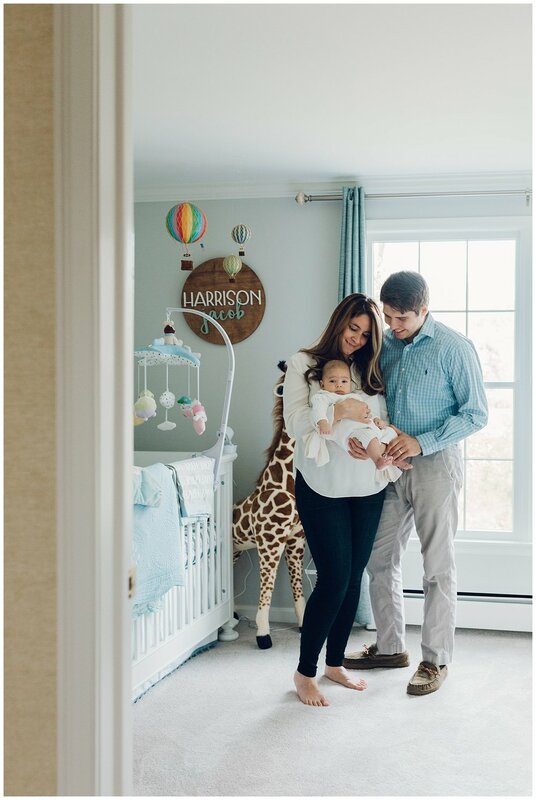 It really depends on what type of newborn photography you want - if you're looking for posed in-studio portraits of your baby sleeping, then yes, it would probably be smart to get them done quickly. However, if you want something more natural, more true to life at home then I promise you the exact age of your baby doesn't matter. 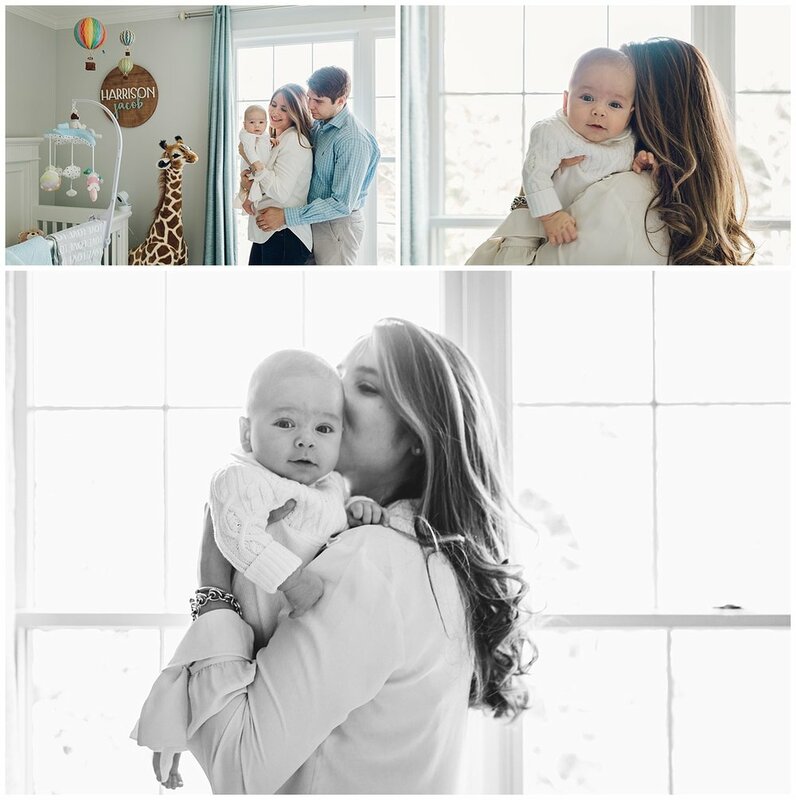 A few weeks ago, I did a beautiful session with sweet two month old Harrison and it quickly became one of my favorites! Not only was he smiley and easy going, but mom and dad seemed to really have the hang of it and I guarantee they we're getting more sleep than they had been at one week!